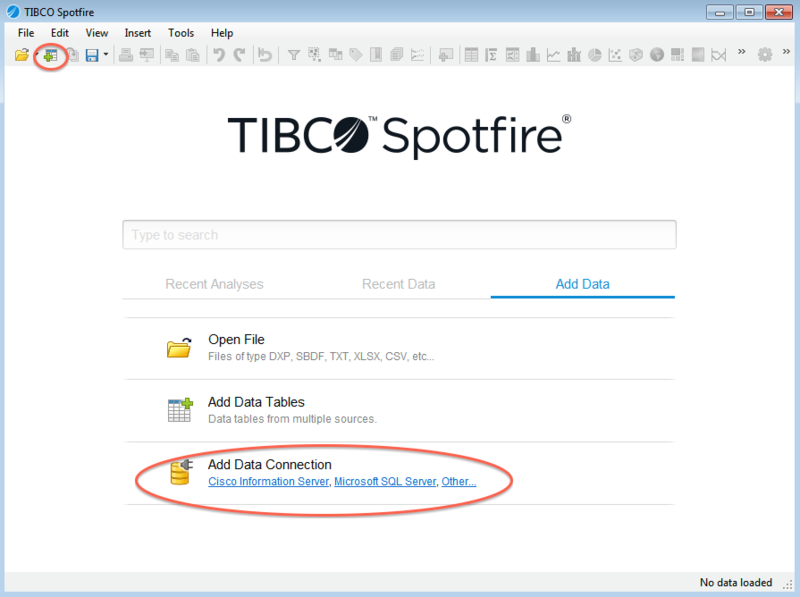 Tibco Spotfire Desktop is a powerful analytic tool that enables SQL statements when connecting to data sources. Spotfire Desktop can utilize the powerful query capabilities of Apache Drill to query complex data structures. Use the MapR Drill ODBC Driver to configure Tibco Spotfire Desktop with Apache Drill. Install the Drill ODBC Driver from MapR. Configure the Spotfire Desktop data connection for Drill. Spotfire Desktop 6.5.1 utilizes the 64-bit ODBC driver. When the dialog window appears, click the Add button, and select Other/Database from the dropdown list. 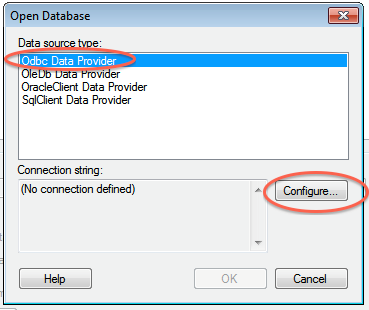 In the Open Database window that appears, select Odbc Data Provider and then click Configure. 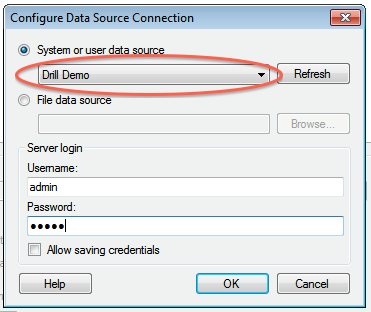 In the Configure Data Source Connection window that appears, select the Drill DSN that you configured in the ODBC administrator, and enter the relevant credentials for Drill. Click OK to continue. The Spotfire Desktop queries the Drill metadata for available schemas, tables, and views. You can navigate the schemas in the left-hand column. 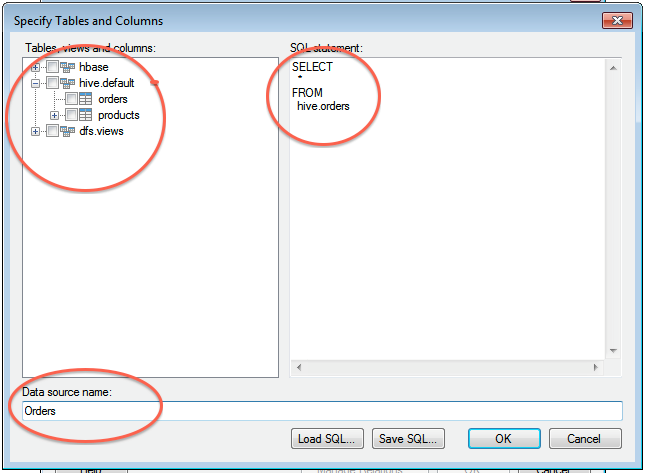 After you select a specific view or table, the relevant SQL displays in the right-hand column. 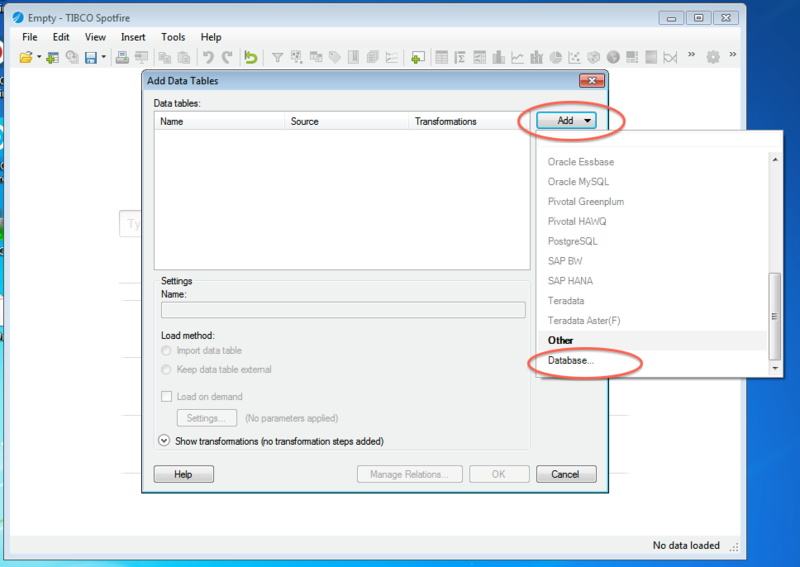 Optionally, you can modify the SQL to work best with Drill. Simply change the schema.table. * notation in the SELECT statement to simply * or the relevant column names that are needed. Note that Drill has certain reserved keywords that you must put in back ticks [ ` ] when needed. See Drill Reserved Keywords. Once the SQL is complete, provide a name for the Data Source and click OK. Spotfire Desktop queries Drill and retrieves the data for analysis. 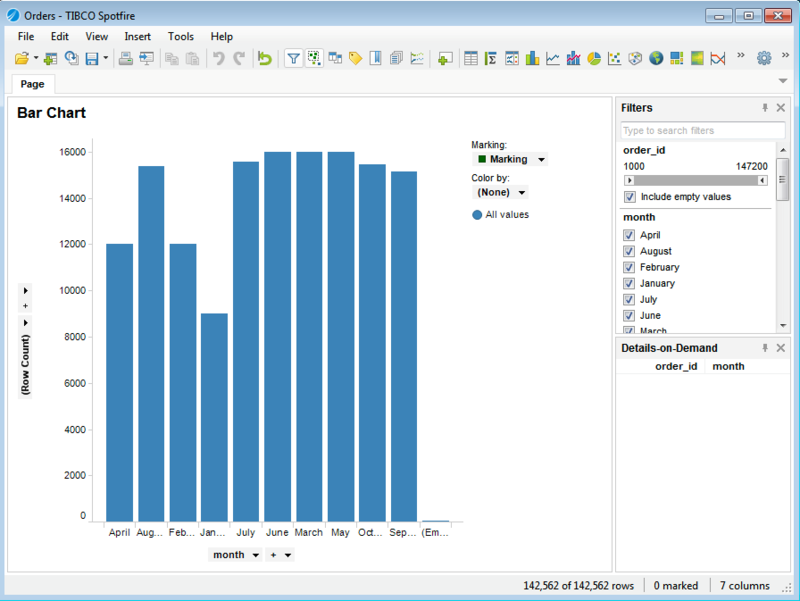 You can use the functionality of Spotfire Desktop to work with the data. NOTE: You can use the SQL statement column to query data and complex structures that do not display in the left-hand schema column. A good example is JSON files in the file system.